On January 15, Zimbabwe’s largest mobile carrier, Econet Wireless, confirmed via SMS and a message from founder Strive Masiyiwa that it had complied with a directive from the Minister of State for National Security to shutdown internet. 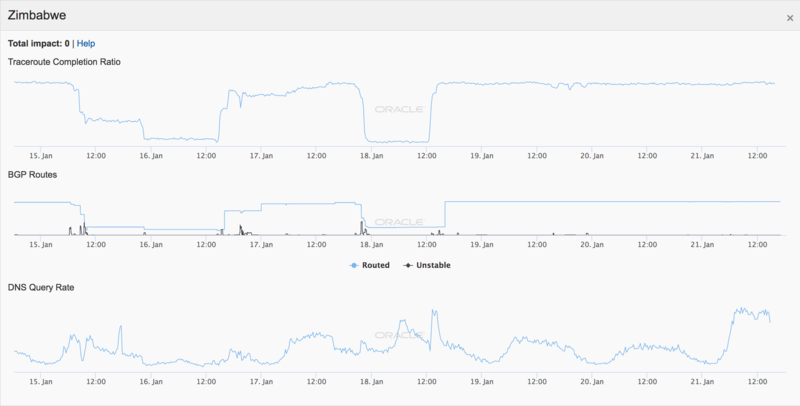 Data provided to TechCrunch from Oracle’s Internet Intelligence research unit confirm the net blackouts on January 16 and 18. Throughout the restrictions, many of Zimbabwe’s citizens and techies resorted to VPNs and workarounds to access net and social media, according to Nyahasha. 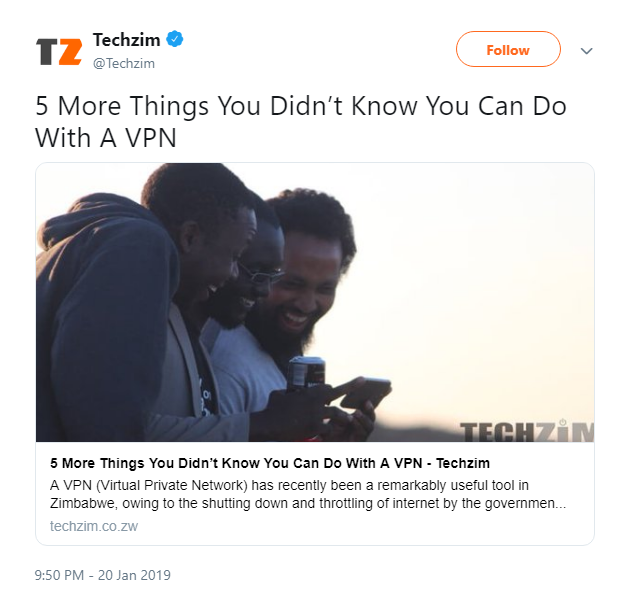 Throughout the interruption, TechZim ran updated stories on ways to bypass the cyber restrictions. The Zimbabwean government’s response to the net shutdown started with denial — one minister referred to it as a congestion problem on local TV — to presidential spokesperson George Charamba invoking its necessity for national security reasons.